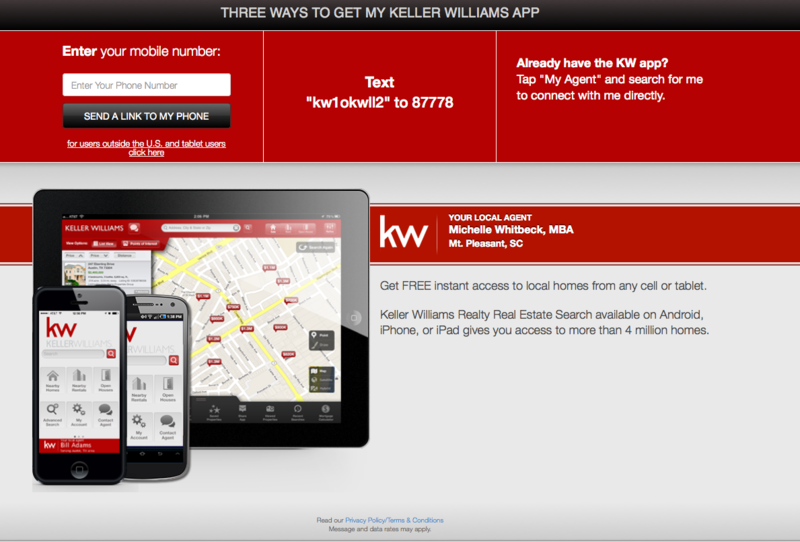 Make drive by’s even better with my KW Mobile App. See homes for sale on your smart phone as you drive through neighborhoods. 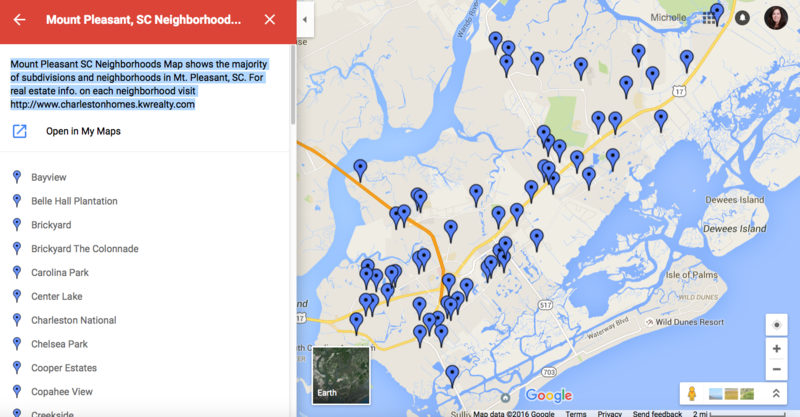 For newcomers to the area or folks looking to purchase a home in Mount Pleasant, SC, I’ve created this custom Google map that shows the majority of neighborhoods in the area. Each marker lists the neighborhood, home price range, available amenities, and a link to do a more detailed search.